Deerfield Beach is a city in Broward County, Florida. It is named Deerfield Beach due to the numerous deer that once roamed this area. Deerfield Beach history goes all the way back to 1890, when a small settlement named Hillsborough was developed along the Hillsboro River. Early settlers were mostly farmers who grew pineapples, tomatoes, green beans, and squash. Through the 1940’s Deerfield Beach remained an agricultural community, whereas now it’s mostly a tourist and residential beach. Bright And Clean...this Lovely, Spacious Unit Is Located On The 2nd Floor And Only Steps Away From The Pool...new Water Heater...new A/c In Bedroom...glass Enclosed Patio...hurricane Panels...updated Applicances...a Must See! Located only 2 miles south of Palm Beach County and 20 miles north of Fort Lauderdale, Deerfield Beach is an upscale coastal community famous for its luxurious styles of homes and affluent beaches. Because this popular city has a thriving economy, Deerfield Beach attracts many tourists, especially homebuyers. Everyone from young professionals, seniors who want to retire, and families want to get a piece of Deerfield Beach. In 2000, the pristine beaches of Deerfield Beach received a Blue Wave Award recognizing it for having such fine beaches. 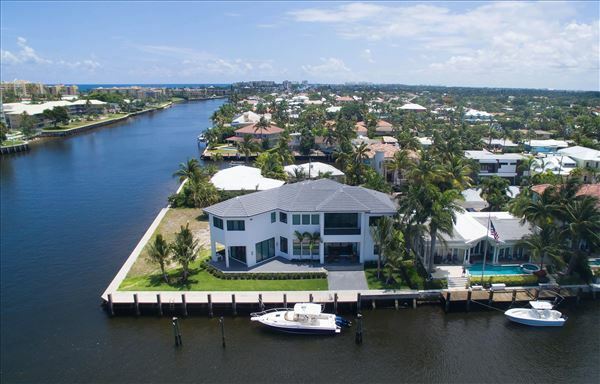 Its location on the Atlantic Coast with different lakes, channels, and waterways through the community has made Deerfield Beach a prime location, especially for those who want a house on a waterfront. This prestigious community is one of the safest communities in Florida, with almost no crime. For parents who are thinking of relocating to Deerfield Beach, there are five public schools located in Deerfield Beach, as well as many private institutions. Public schools are run by the Broward County School District. When school’s not in session, Deerfield Beach provides many things to do, from going to the pier, the mini boardwalk, and walking or relaxing on the white sand beaches. The lighthouse is another well-known attraction in this picture perfect town. When Deerfield Beach residents are not spending their free time on the beach, on the water, or by the marinas, they are also out enjoying the beautiful parks, tennis courts, playgrounds, and many cultural events. Children especially love living in this area, as they have easy access to sporting activities. This is the perfect beach community for anyone who wants to enjoy luxurious living along the water. The median home price in Deerfield Beach is $150,000, though many homes sell well over the $500,000 mark. Deerfield Beach is a very nice community. It is in the northern end of Broward County, neighboring the very upscale town of Boca Raton. It has a diverse selection of homes and properties, ranging from townhouses and condominiums to very affluent properties on the beachfront. The beach area is one of the nicest areas around and provides many families a magnificent place to call home. Deerfield Beach’s real estate market is thriving with many waterfront properties. Many residents here even enjoy their own private docks and are often seen cruising their boats through the canals and waterways. Yet despite being a community that revolves around seaside living and boating, Deerfield Beach’s real estate market also has inland homes with sprawling gardens and peaceful neighborhoods. Not only does this town provide a lot of beautiful outdoor area, but it has some of the most upscale dining and many trendy boutiques. It’s no wonder that Deerfield Beach has become a magnificent place to live for those who enjoy the finer things in life. Whatever your budget happens to be on your new home, you’re likely to find a very desirable home in a beautiful location in Deerfield Beach. Moving to Deerfield Beach, Florida? If you plan on moving to Deerfield Beach, Florida in the near future, you’ll likely find yourself living in one of the safe and upscale neighborhoods in the area. When you’re ready to take the next step to finding the best home possible in Deerfield Beach, consider Mizner Residential Realty to help you with the hunt. Contact us today at 561-495-1516.